Eesti Laul (“The Song of Estonia”), the national selection process in Estonia for the Eurovision Song Contest 2014, is underway. If in the UK and Germany the Eurovision Song Contest is usually regarded as something to laugh at on a Saturday night, a small country like Estonia uses every opportunity to make it heard and better known on the international stage. After all, considering the viewing numbers for Eurovision – 170 million people tuned in last year – the chance for additional publicity is not something to be frowned upon. Throw in a Eurovision win – Estonia won in 2001 – and one could be excused for taking it so dedicatedly. For local songwriters, in an otherwise tiny music market, it also gives extra inches of motivation to get their act together and try to come up with new material. 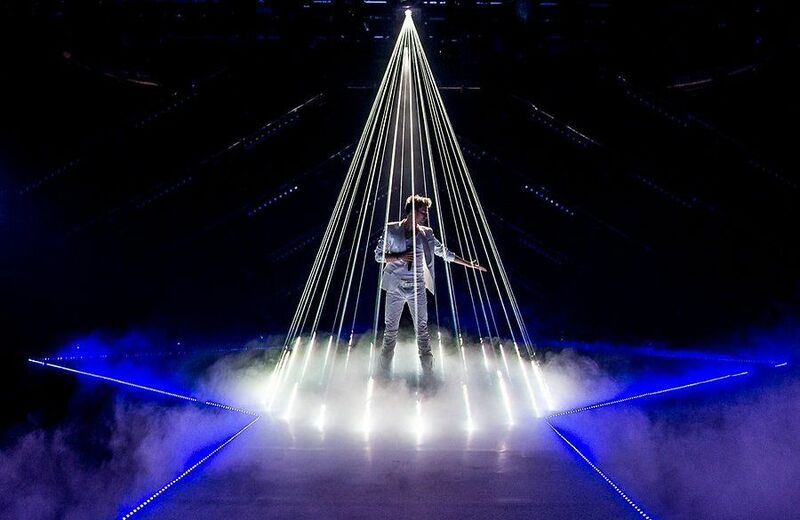 The current form of the contest was introduced by the Estonian Public Broadcasting (ERR) in 2009 and beside for deciding the Estonian entry at Eurovision, it has developed into a platform for giving up-and-coming artists more nationwide exposure. The twenty selected songs in the contest are shown to the Estonian public through a number of special shows. The final winner is selected through two rounds of voting: the first round selects the top two songs, selected by both jury and telephone voting; the second round selects the winner from the two songs through 100% telephone voting. After a months-long process, 20 finalists out of about 150 have now been selected to compete for the joy of representing their country at Eurovision. The first semi final took place on 14 February and the second one will take place on 21 February. From each semi final, five will be chosen to compete in the live final on 1 March. As most of EstonianWorld’s readers live outside of Estonia and might not have had a chance to follow the national broadcasting channels, we bring you all the competing songs from the semi finals – use your own judgment on a current state of Estonian pop music and please feel free to leave a comment with your opinion below. Tanja or Tatjana Mihhailova was born in the former Soviet Union, in Kaliningrad. She has lived in Estonia since early childhood and from a very early age she also began to take part in numerous singing contests. Before her solo career, Tanja made up one half of the duo Nightlight Duo in the early noughties. Following that, Tanja put together a new outfit named Jz Belle, working together with local writers, composers and producers, like Timo Vendt and Mihkel Mattisen, and releasing a couple of albums. 2014 will be her first time performing as a solo artist in Eesti Laul. The Titles is a band from Tallinn, consisting of Markus Rafael Nylund (originally from Finland) on vocals, Rasmus Lill on keyboards, Martin Laksberg on bass, Liis Ring on guitar and keyboards and Tõnis Kuusk on drums. Rasmus and Markus have been playing gigs in and around Tallinn for quite some time. They describe themselves as a synthrock band that makes catchy pop songs with a darker edge. Rasmus Lill has performed in bands such as Kosmofon and Zebra Island. Wilhelm is a band comprising of seven members; Anett Kulbin and Kaisa Lillepuu on vocals; the writer and composer of their entry Resignal, Lauri Kadalipp, on ukulele; Paul Neitsov on guitar; Jorven Viilik on bass and Kristjan Mängel on drums. They all are based in Tartu and decided to form Wilhelm out of their collective love for making and playing music and a burning desire to get their music out to a wider audience. Their style can most aptly be described as indie pop with a jazz influence. Vocalist Anett Kulbin has a background in jazz, having studied at the London Music School. State of Zoe is a five-piece band that hails from Talinn. The band line up features Anneliis Kits on vocals/electronics, Talis Paide on keyboards/electronics, Raul Ojamaa on guitar/electronics, Siim Avango on bass and Caspar Salo on drums. State of Zoe was formed in August 2010 by producer Sander Mölder in collaboration with vocalist Anneliis under the name Stereo Spectrum. Their music is generally classified as electronic pop, but they incorporate a great deal of jazz, pop and soul into their music, citing Roisin Murphy and Stevie Wonder as just some of their influences. They have also made numerous appearances at Tallinn Music Week. NimmerSchmidt is an electropop duo formed in Tartu in early 2013, the name being a combination of its members’ surnames. Andero Nimmer and Fredy Schmidt came together after performing with various projects such as indie rock band Animal Head and Laika Virgin. The ban made its live debut in its hometown of Tartu in September 2013 and its debut album Kirgede torm (Storm of Passion) appeared in January this year. Vöörad is a trio that hails from the island of Saaremaa and consists of Priit Uulstund, Meiko Umal and Tuuli Rand. All three members have a wide range of varying music tastes, and together they merge the genres of electronica, rap and pop. The trio wishes to create music that doesn’t conform to the basic need of society of pigeonholing everything, giving everything a convenient label. Meiko Umal has performed under the guise OkYM Riim, releasing two albums: Kirjad aguli seintel (2010) and Brodmani 14 (2012), using experimental rap as his medium. Tuuli Rand has studied at the Georg Ots Music School and has provided vocals for a range of bands, from TuuliKustiPeep, Funkifize, Bliss, Estonian Dream Dixieland Band, to the vocal ensemble Söörömöö. Super Hot Cosmos Blues Band is a trio consisting of Janno Reim aka Cosmos Jay-Ray and Ilja šarapov on guitar and vocals and Mati Sütt on bass guitar. According to themselves, the band came about by accident, having made music and performed independently on the Estonian music circuit for many years. They knew of each other but hadn’t met – the band came about when the trio got together and began jamming. Their band name, they say, “was the only cool band name available“. As a trio, they are relative newcomers to the scene, saying that their influences include a distinct blues sound. This is their first time at Eesti Laul, which they are extremely enthusiastic about, hoping to use the marvellous opportunity to get their music out to a wider audience. Apparently they did set one rule of thumb for themselves, before deciding to participate in Eesti Laul: to do their own thing and not take on a different style just to please people. Names can be deceptive, as is the case with August Hunt, which is actually a band, not a solo artist. The line up features Norman Salumäe on vocals, Martin Petermann on percussion, Siim Avango on bass guitar, Harri Uljas on guitar and Mirko Miilits on guitar. The band was formed in 2010 and they haven’t looked back since. The band’s chief aim was to make music in Estonian without any boundaries, and that’s just what they’ve achieved, relying on a vibrant mix of funk, garage and rock to name but a few genres. Its debut album Meie aeg on käes (Our time has come) appeared at the end of 2011. Kõrsikud is a band that was formed in 2012 and features Andrus Albrecht (stage name Bonzo), Alari Piispea (stage name Päss) and Jaan Pehk (stage name Orelipoiss). The band name came about as a result of irony; given the rather portly stature of the band members, the name is taken from a thin biscuit. The three are based in Tartu, Tallinn and Rakvere and together they have released three albums to date: Kolme Peale (On Three) in 2012, Sinu südames (In Your Heart) and Heli jälgedes (Sound of Footsteps) both released in 2013, all of which have performed well commercially in their home market. They took part in Eesti Laul last year with Suuda öelda ei (Unable to say no), making it to the final and coming fourth. This time the band is trying its luck again with Tule ja jää (Come and Stay). Lenna Kuurmaa aka Lenna is considered to be one of the nation’s musical sweethearts. Aged just five, she joined the Estonian Public Broadcasting Children’s Choir, touring extensively. She stayed with them for twelve years, where she received vocal training. In 2002 she formed the rock band Vanilla Ninja with her friends and the band became one of the first Estonian success stories in European pop, breaking charts in Germany and Switzerland. She launched her solo career in 2010 with the album Lenna. Note that five semi finalists qualified to the final, which will be held at the Nokia Concert Hall in Tallinn on the 1st of March 2014: Kõrsikud, Wilhelm, Tanja, Lenna, Super Hot Cosmos Blues Band.